Historical Deck made by Johann Conrad Jegel, Nürnberg, after 1850. Etching by G. Pommer, stencil coloured, 36 cards. 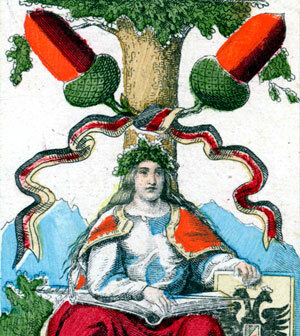 The pip cards show scenes from the history of the German (Holy Roman) Empire. Above: historical deck by Johann Conrad Jegel, Nürnberg, after 1850. 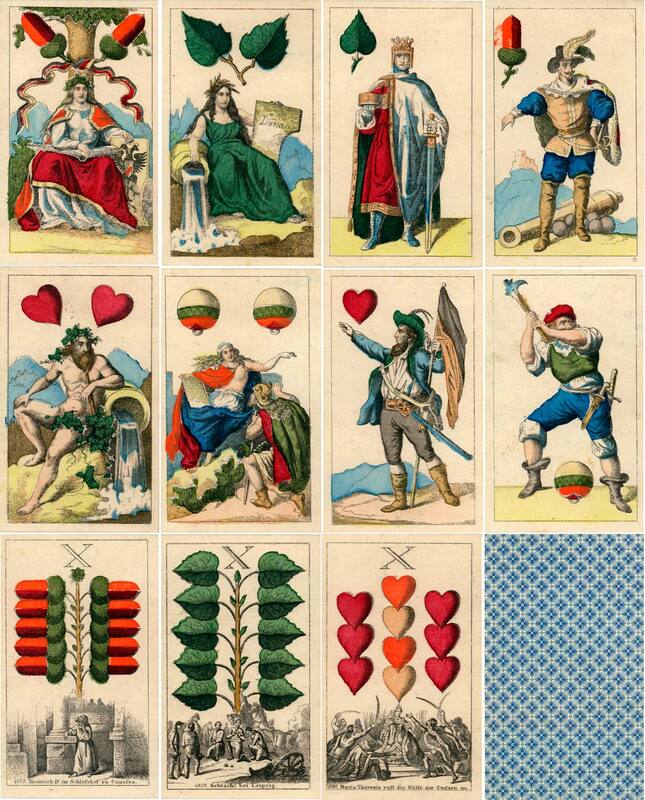 Images from the collection of Klaus-Jürgen Schultz (http://spielkarten-sammlung.de).